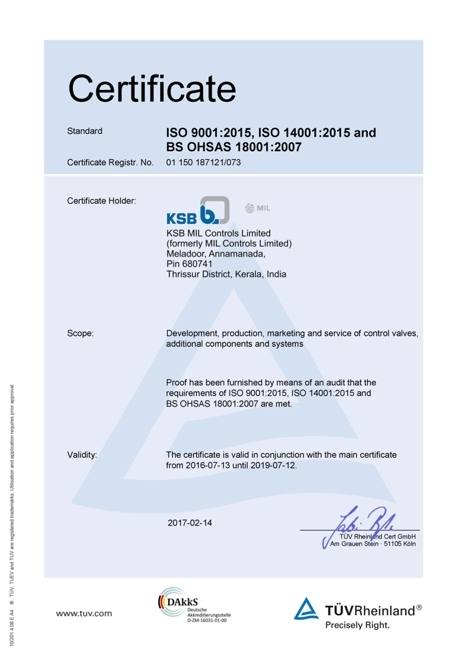 KSB MIL is proud of its CE, ISO 9001, ISO 14001 and ISO 18001 and SIL certifications. 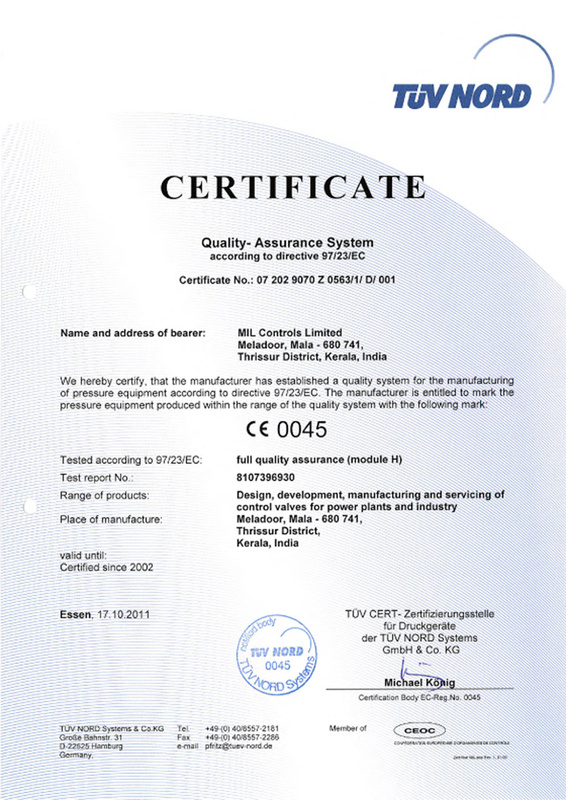 We view quality as a total process that involves every aspect of our business. Our first priority is the customer and our entire organization works as a team to ensure complete customer satisfaction.